This jeep tire cover is the perfect addition for your four wheeling monster jeep or standard daily driver. 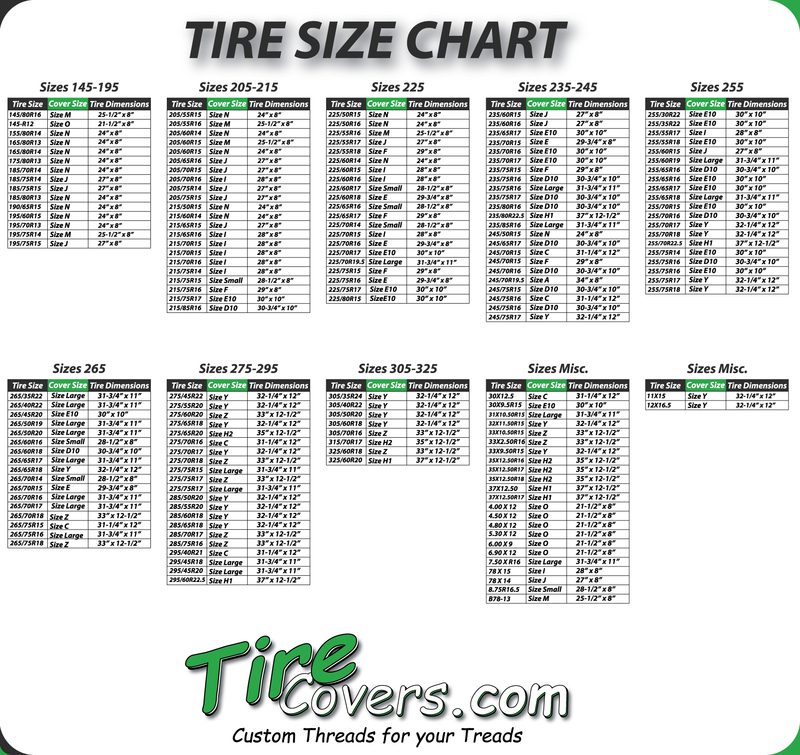 Features the image of cat paws that jeepsters love.This cover is only available in a size G3 which fits the 215/85R16, 225/70R17, 225/70R18, 225/75R16, 225/75R17, 225/85R15, 235/65R17, 235/70R16, 235/75R16, 235/75R17, 235/75R17.5, 235/80R16, 245/70R15, 245/70R16, 245/75R15, 245/75R16, 255/55R18, 255/65R16, 255/70R16, 255/75R15, 255/75R16, 265/60R18, 265/70R16, 265/75R15, 265/75R16, 275/70R16 tire sizes. Please remember that there are no returns or warranties on this tire cover like our other covers. This tire cover normally sells for twice the amount.